Hailing from Toronto, Sandro Perri has had a prolific career in music both as an artist in his own right and as a producer / mixing engineer of other people’s recordings. 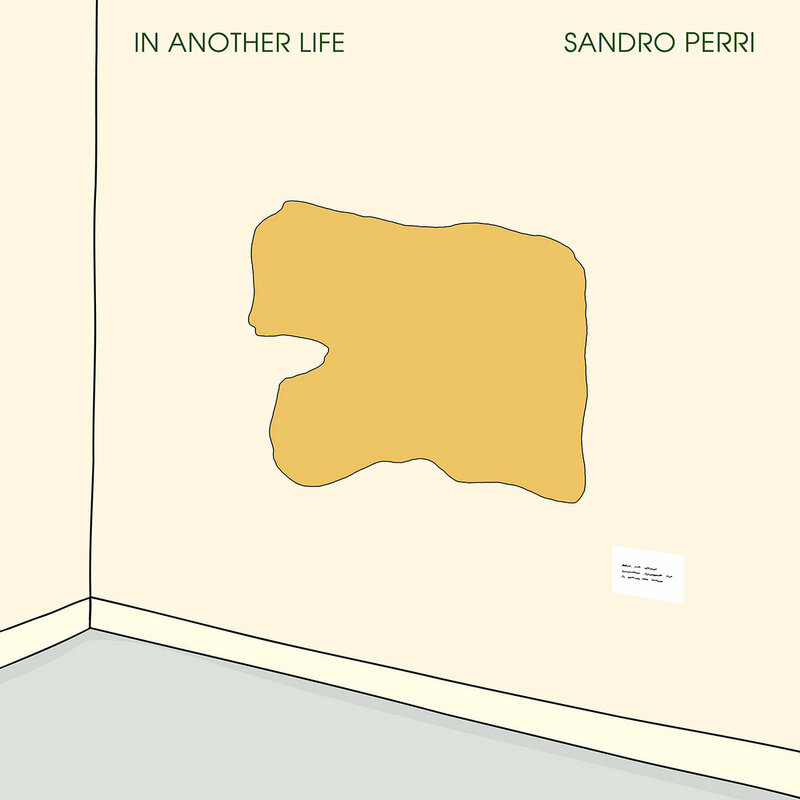 “In Another Life” is the third album Perri has released under his own name and follows (at some temporal distance) his highly regarded second album “Impossible Spaces”, listed by Pitchfork as one of its top 50 albums for 2011. Admittedly I don’t know Perri’s work all that well but judging from the song titles on “Impossible Spaces”, his earlier recording “Tiny Mirrors” and this third album, he seems to be querying the current direction of Western society, prone to breathlessly following one technological or mass psychological / cultural trend after another without question or consideration for the possible fall-out that may result. “In Another Life” plays like a clarion call to consider an alternative, parallel society where the pressure to conform to others’ expectations in one’s daily activities is absent, people are not judged by their beliefs and opinions, and our values abide by an inclusive, live-and-let-live principle. The album’s style of music reflects this wishful idealism: it is at once sunny yet melancholy, hopeful yet possibly a little wary and wistful, and the thin vocal contrasts with yet complements the music which itself seems like simple minimal pop at first but with repeated hearings reveals itself to be a subtle layered fusion of post-rock and electronica. The long title track exemplifies the contrasts and apparent contradictions very well: seemingly repetitive, even a little monotonous at first, and sounding a bit like refined Muzak, the music becomes more and more hypnotic, and as it does so, gradually reveals one surprise after another as Perri elaborates his world of perhaps idealised nostalgia for a world that may or may not have once existed. Beneath dreamy raindrop guitar splash riffs and piano chord plonk, squiggle keyboard melodies natter, distant synth percussion bangs away and toy instruments intrude with baby tone bites or clunk about in the far shadowy background. This piece takes up at least half the album but so immersive is it, that when it ends, I am in shock that nearly 25 minutes have passed instead of just five minutes! Much of the second half of the album is taken up with a trilogy of songs under the title “Everybody’s Paris” which itself might suggest at a very basic level that we all hold our own ideas about the universe and no-one’s view is any more or any less valid than anyone else’s opinion. Part 1 is a warm song dominated by minimal piano playing and Perri’s singing accompanied by various ambient and noise-lite effects. As if to confirm my impression of what the trilogy implies, Part 2 has a Latino jazz feel with bongo drum accompaniment, saxophone and André Ethier (of now-defunct Canadian indie rock band The Deadly Snakes) taking on lead vocal duties with his slightly gravelly half-singing / half-talking delivery. Part 3 is a more moody, bluesy piece with surprisingly violent lyrics by Dan Bejar (of another Canadian indie rock band, Destroyer, yet to reach its expiry date) who adopts a cynical attitude in crooning them. The music here is very melancholy, smoky dream pop rock with a slightly noisy edge. The album concludes with a short edit of the title track, coming back to conclude the album’s tour through parallel worlds, both dark and light, of the same city. For an album of about average length (about 50 minutes), I feel I have been taken through so much in such apparently naif-sounding pop rock: there is idealistic hope and longing for a utopia which ends in regret and disillusionment. The music is beautiful and varied in mood and style as well. This work really deserves a much wider audience.